The Rheo-Microscope delivers insights into the inner structure of the sample during rheological measurements. The combination of light microscopy and rheology allows the visualization of the influence of shear and deformation forces on the sample structure. Among other things, you can observe and record the structure of emulsions at various points in the shear field through the microscope during shear. 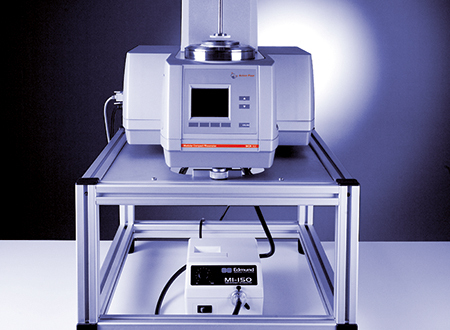 The setup consists of a CCD camera, a microscopy tube, illumination and a long working distance objective. 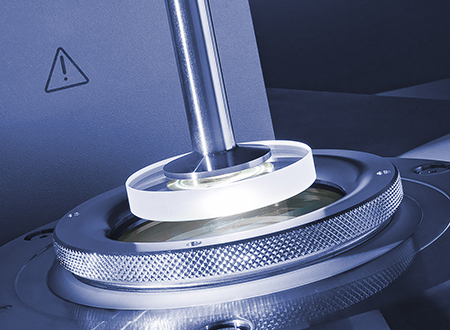 The High Temperature Rheo-Microscope allows microscopic investigations of polymer melts and mixtures at temperatures up to 300 °C.